and ready to officially start your marriage. It was amazing, and time seemed strangely plastic: some moments suspended, others clipping by so quickly. and then you were hugging everyone you've ever known and loved. Your uncles cried. Your best friend from college snuck up behind you to give you a hug, and you spilled your champagne on yourself and you couldn't stop laughing. The whole night - your face hurt from smiling and talking and dancing and the energy was something you've never experienced before. Memory is a fickle creature. We seek to hold the ephemeral moments of our days, the absurd and the beautiful and the painful, too; these moments shape ourselves and our lives. 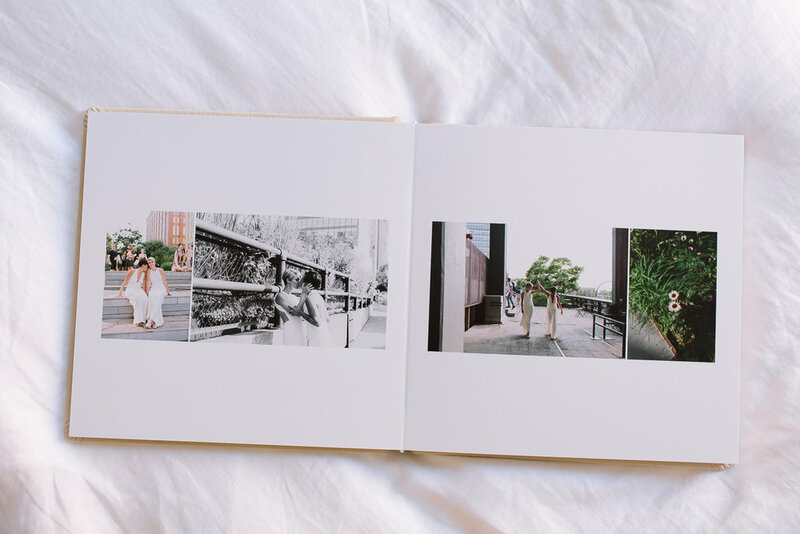 Memories and photos endure best on paper and in these books, where they can be seen and cherished, and most importantly, shared. The Album Experience is all about creating for you a design and final product that reflects you + your awesome celebration, for you to have and enjoy and share forever. We begin with an initial design by me, so that we have a sold base from which to refine. No worries about you having to pick your favorite 50 images from 750! We then collaborate over two rounds of design changes to craft your final design, and most albums are delivered within 6-8 weeks of the initial design (depending on design time). I make the design process simple, efficient + fun, so you can be stress-free and enjoying your photos in print as soon as possible. with a beautiful matte finish on heavy-duty, archival paper, and can be ordered in linen or leather. 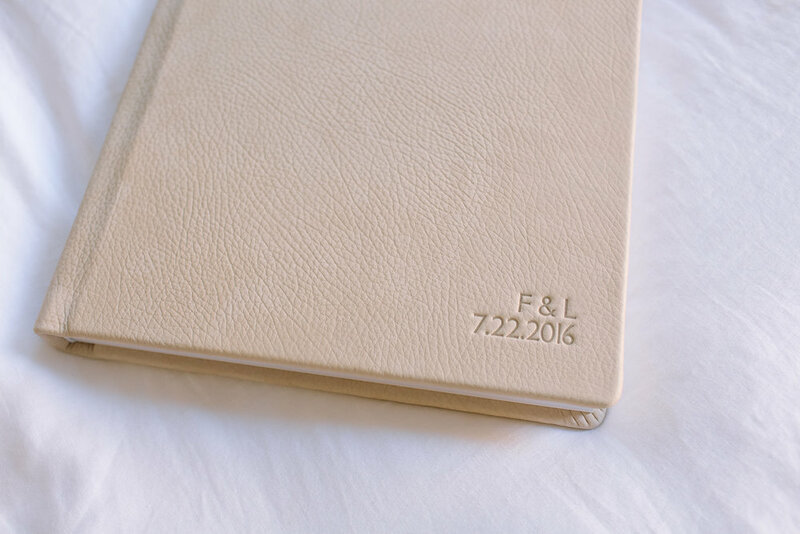 Photo Books are available in Linen cover options; Layflat Heirloom Albums are available in Linen, or Leather (+$150). with cover debossing; additional pages may be added ($50 per side). additional pages may be added ($35 per side). each book can be the same or uniquely designed.